Johnny Depp is keen on teaching his children to handle guns. 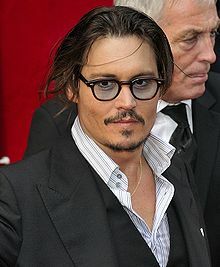 The ‘Pirates of the Caribbean’ star, who learned shooting at the age of six in Kentucky where he grew up, wants to pass on his experience to his kids. “We would just go out and line up a bunch of cans and shoot with rifles, handguns ” the Daily Star quoted him as saying. “When I was a kid it was a controlled atmosphere, we weren’t shooting at humans – we were shooting at cans and bottles mostly. I will most certainly take my kids out for target practice,” he added. One Comment on "Johnny Depp takes his kids plinking"